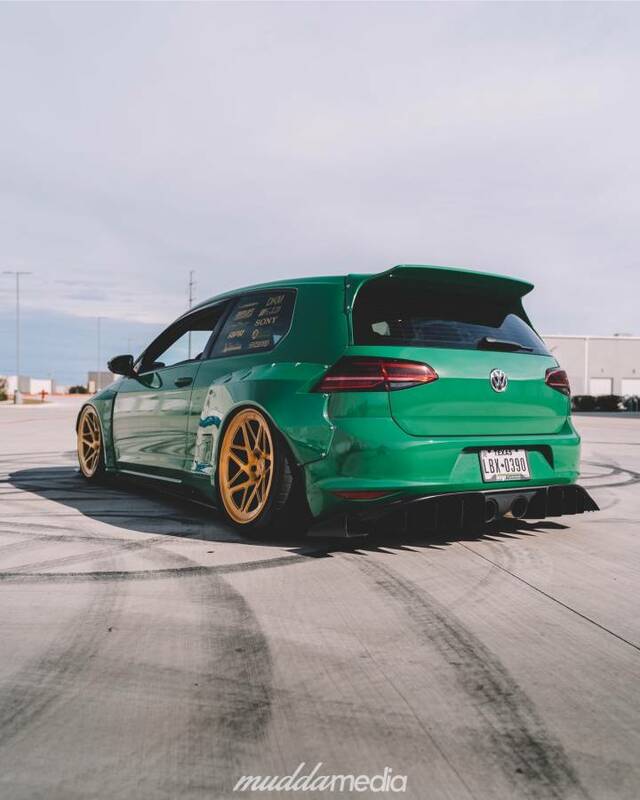 We got some feedback that last week’s Find Of The Day wasn’t a real widebody Golf R. You can take that up with the seller, but this week’s find, forwarded from a friend, should make up for it. 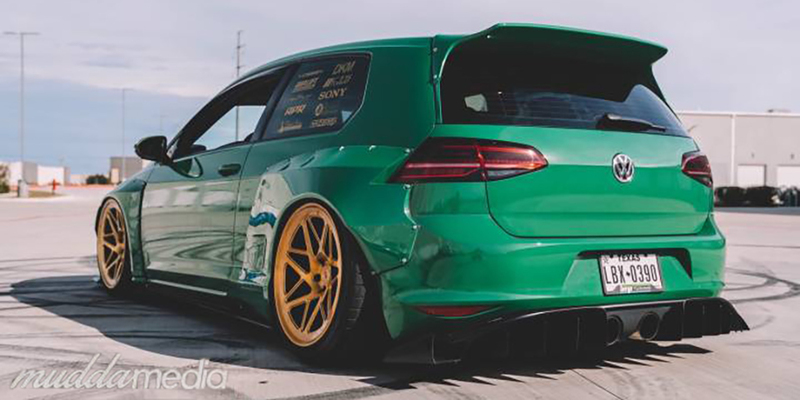 What we have here is a show-winning MK7 GTI, complete with a true widebody kit. 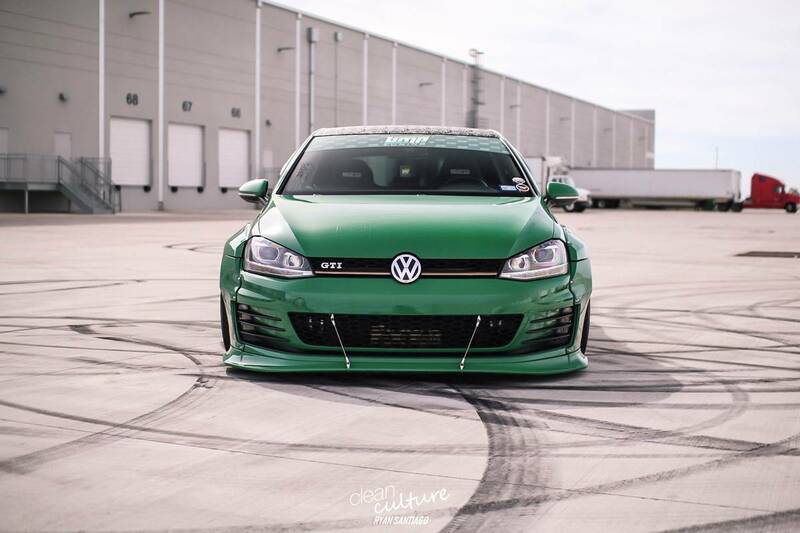 Where to begin with this 2015 MK7 GTI? 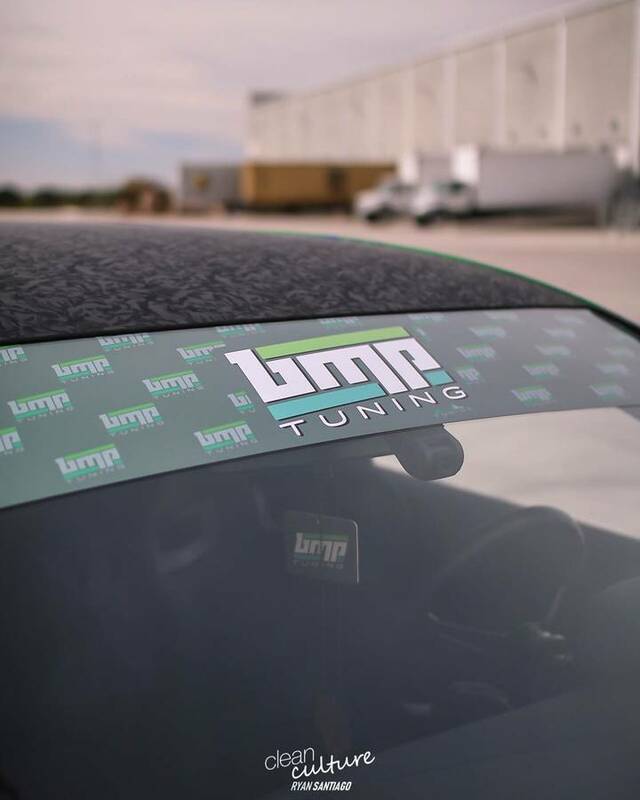 This is one of BMP Tuning’s sponsored cars, so you know it’s hooked up. We can’t possibly cover all the mods here, but here’s the big stuff. 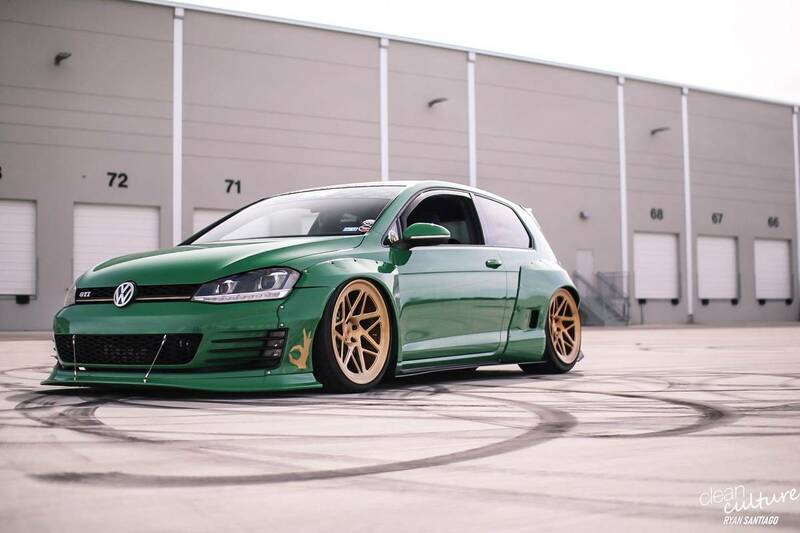 Upgraded mechanicals includes an APR Stage 2 tune, Forge Twintercooler, CTS Turbo blow-off valve, CTS Turbo downpipe, a custom exhaust system, and much more. 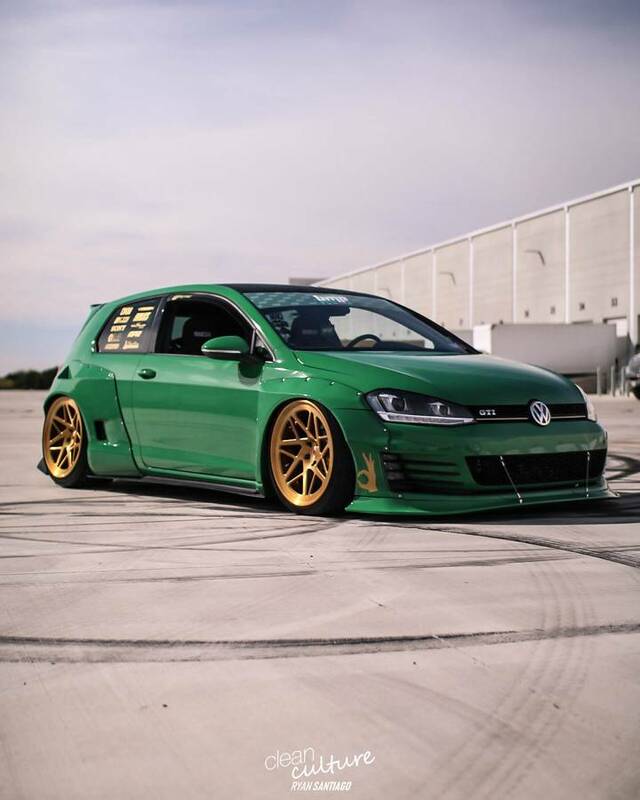 In place of the stock suspension is an Air Lift Performance set up with 3 H Air Management to control ride height. Behind the Vossen wheels (finished in Imperial Gold) are Audi TTRS brakes with StopTech pads and brake lines. This car will go and stop. 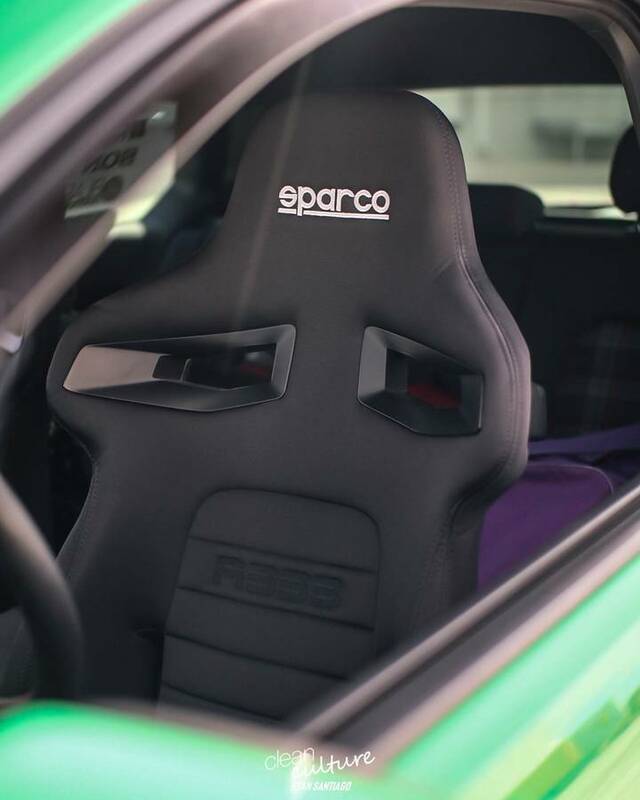 Inside you’ll find genuine Sparco seats in place of the stock units. 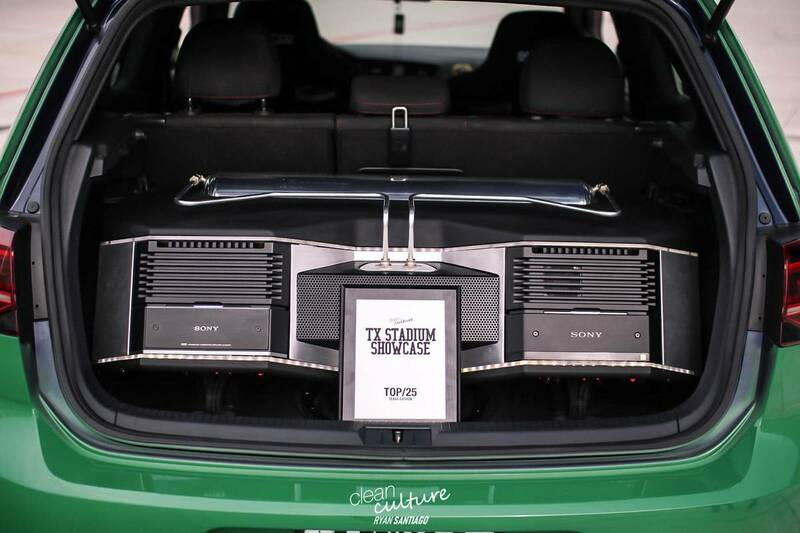 There’s a Sony sound system with a touchscreen head unit and High Res speakers. It has a Cobb Tuning shift knob and what looks to be a Nardi steering wheel that has red stitching; a very nice touch. 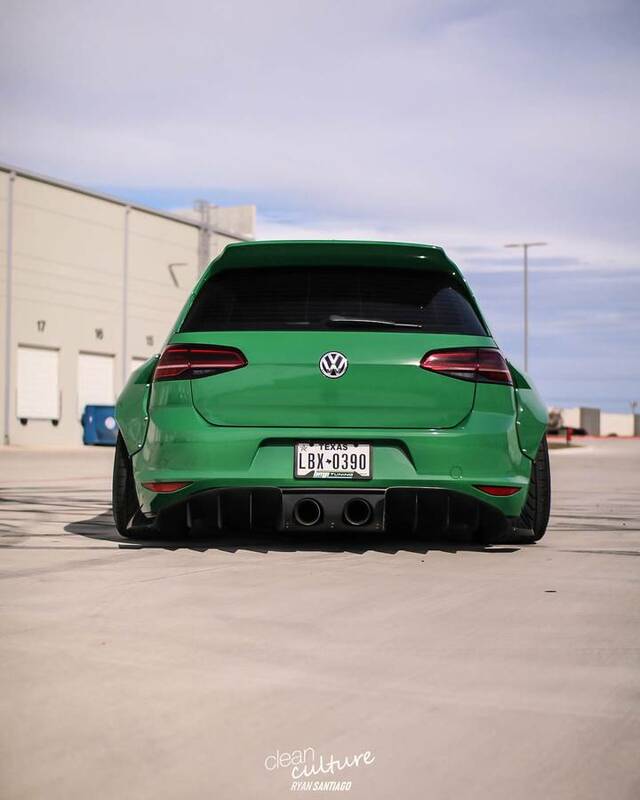 Outside, this GTI has a green vinyl wrap, Golf R rep headlights, MK7.5 taillights, and much more. But what’s drawing your attention is that Rocket Bunny/Pandem widebody kit. 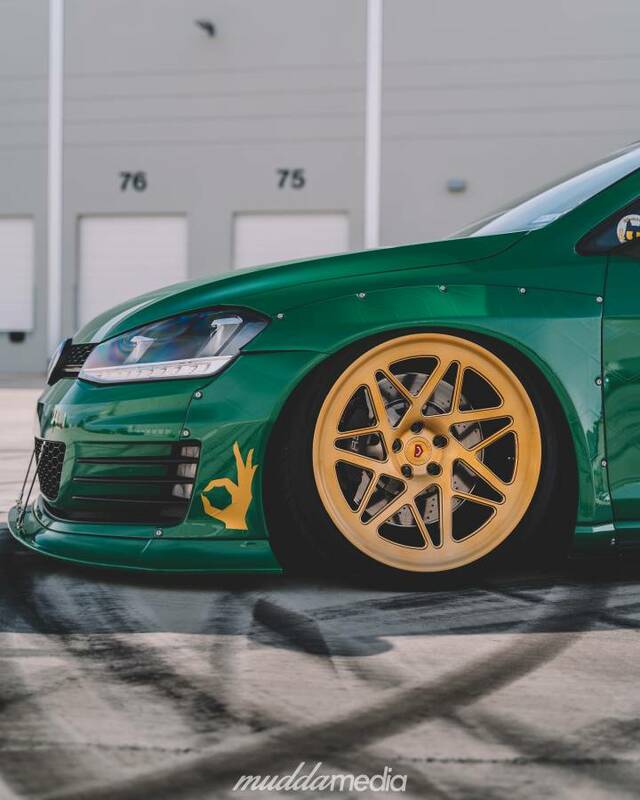 A quick Google search brought us to a page on GReddy.com’s site that has a great write-up on these kits. 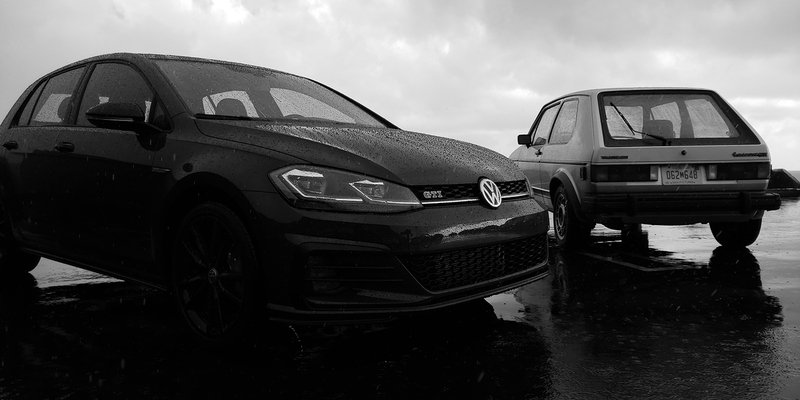 That, in turn, led us to this article on Speedhunters.com and we learned the “bunny” in Rocket Bunny does not refer back to the GTI’s past. The more you know (shooting star). 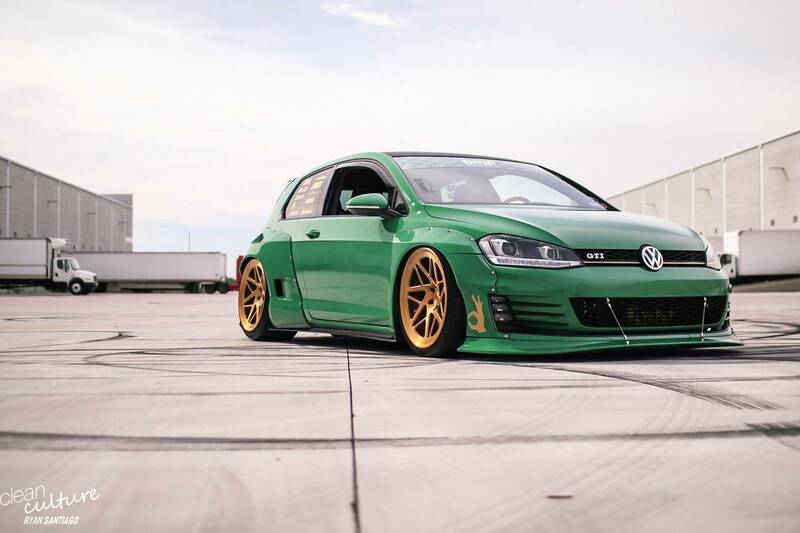 If you’re looking for an eye-catching show car, this widebody GTI is just about perfect. Check out the Craigslist ad for more information. 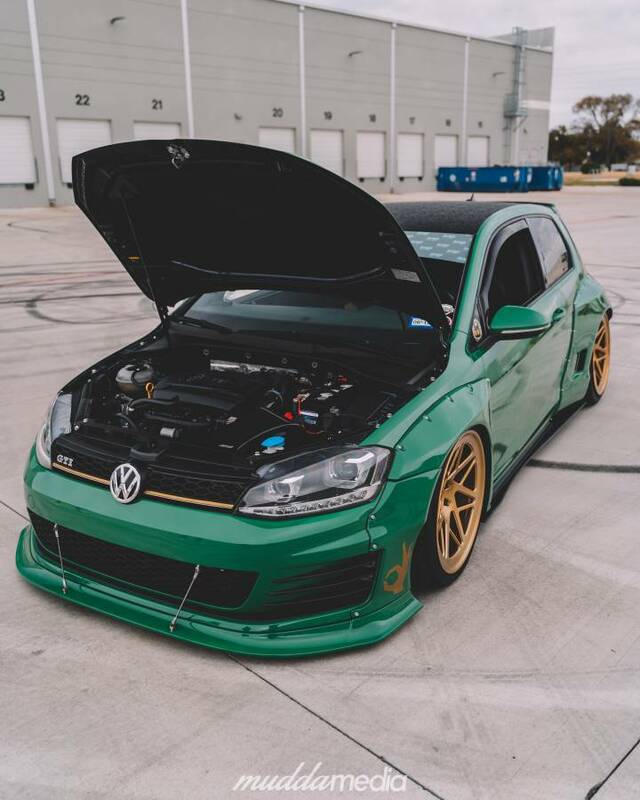 The Rocket Bunny GTI is in Dallas, Texas, and the asking price is $27,000. 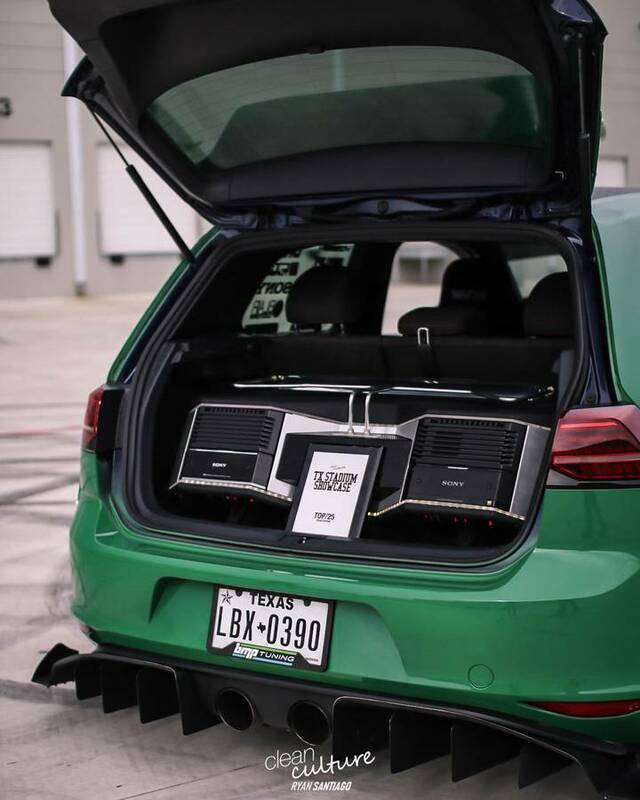 If that seems a bit high, keep in mind this car has over $40,000 worth of enhancements.